372 pages | 40 B/W Illus. Over the last thirty years Public Private Partnerships (PPPs) have been used to deliver transport capital projects and services. PPPs are complex arrangements that require a multi-disciplinary approach in order to assure their success, though research on the subject has been fragmented. This book fills the gap in existing literature by providing insight into these complex arrangements at their various stages of development. 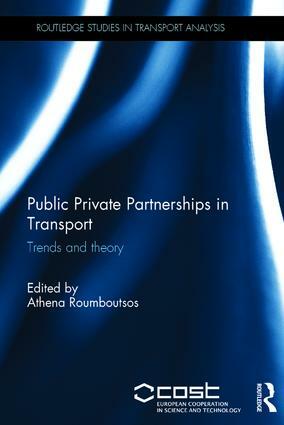 Public Private Partnerships in Transport: trends and theory is structured to follow the life-cycle of a PPP project and strikes a balance between theory and practice. Divided into four parts, each section highlights major concerns and offers and array of views and policy recommendations. Parts include context for national implementation, decision models, performance measures and efficiency standards. This book includes an expanded discussion on the findings presented, discussed and analysed at the closing event of the COST Action TU1001 network on the topic of PPPs in transport. The result will be of significant interest to the academic community, policy makers and practitioners. Athena Roumboutsos is Assistant Professor at the Department of Shipping, Trade and Transport, University of the Aegean, Greece.